They explicitly say the NRA is deranged. Yet this cartoonist is the one distorting the facts. 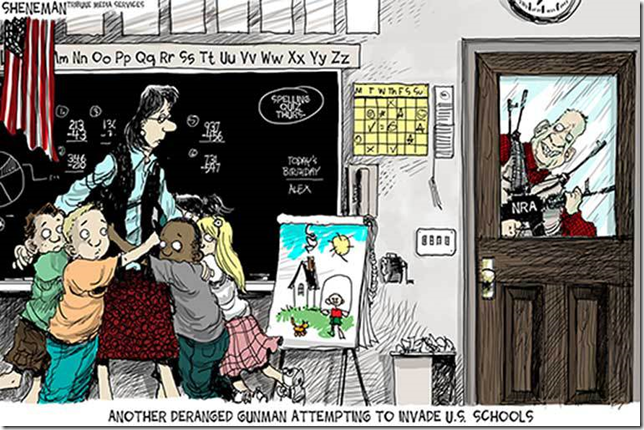 This cartoonist wants people to believe armed guards protecting school children and teachers would cause children to be afraid. Are Bloomberg and Obama afraid of their armed guards? If they were they could dismiss them. Yet they don’t so one has to assume the guards provide protection. But we have people like this cartoonist attempting to convince people that children will be safer without people guarding them. Are children safer when there is no one present to protect them from harm or when there are people trained in the protection of others ready and willing to do that job? Who is deranged here? The truth is that this cartoonist, and anti-gun people in general, think of guns as inherently evil. Some of them literally think guns used in homicides go to Hell. And they claim the NRA is deranged. 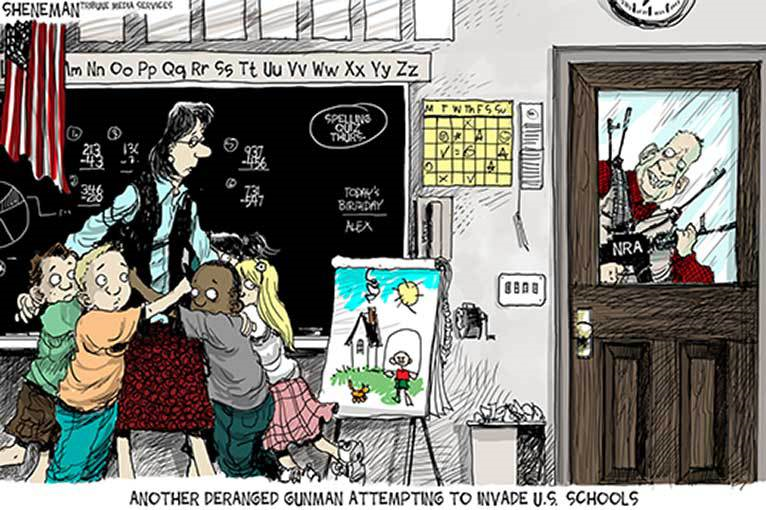 This entry was posted in Crap For Brains, Gun Cartoon by Joe. Bookmark the permalink. Just another cheap shot. All these people do, is rage and lie.